There will be four Toyota-powered cars on track at Silverstone this weekend for the opening round of the FIA World Endurance Championship, for in addition to the two TS030 HYBRIDs of the works Toyota Racing team there will be a pair of Rebellion Racing’s Lola-Toyota B12/60s in action, bidding for a third successive Silverstone win in the privateer division of the LMP1 class. Each of the Anglo-Swiss team’s cars has three drivers. The first is crewed by Nick Heidfeld, the former Lotus, BMW and Sauber F1 driver; Nico Prost, son of four-time World Champion Alain; and the former A1GP Champion, Neel Jani. The squad heads for Silverstone on a high thanks to third place (and top privateer) in last month’s 12 Hours of Sebring. 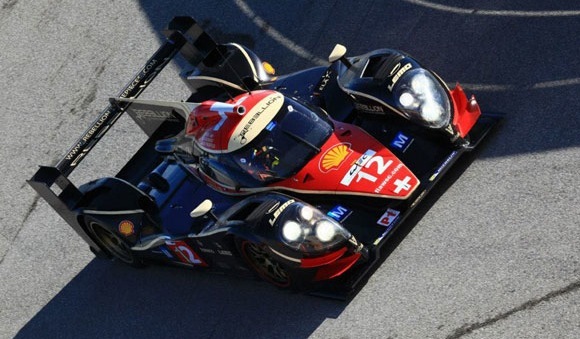 The second Lola-Toyota is in the capable hands of Andrea Belicchi, Congfu Cheng and Mathias Beche, who placed fifth at Sebring. Motive power comes from Toyota’s RV8KLM 3.4-litre V8 petrol engine, which is derived from the Toyota Formula Nippon power unit and is adapted for sports car racing at Toyota Motorsport’s Cologne HQ. Silverstone’s weekend of sportscar excitement gets underway with free practice on Friday. Official qualifying is at 1210 Saturday and the Silverstone 6 Hours starts noon Sunday, live on Motors TV.